Summertime is here, so save $100 on any ride just in time for the warm weather from independent bike maker Solé. Get one starting from just $299 plus free shipping with promo code SUMMER2017. The brand new Brooks City Cruiser is perfect for commuters and casual riders alike just in time for the warm weather. Starting at $499 and designed in Venice Beach, it weighs in at a modest 26 pounds and has 700x25C tires, giving it both speed and comfort. The bike is shipped to your door for free already 90% built, just attach the front wheel, handle bars, and seat. Plus you’ll get a one-year warranty on all bike components while the frame is guaranteed for life. 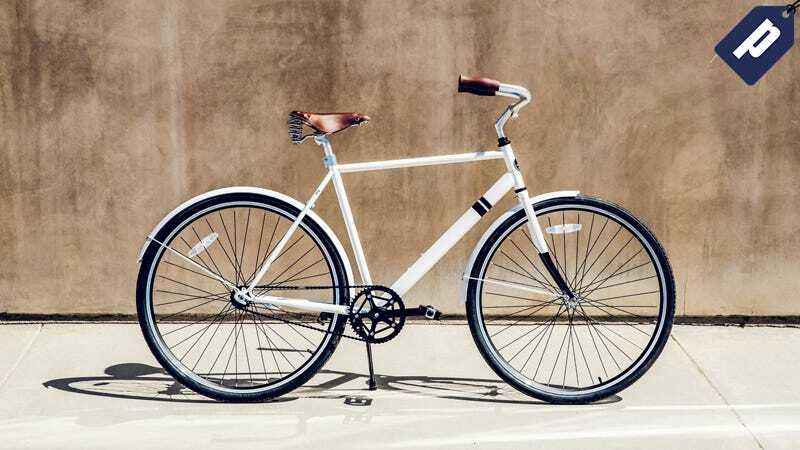 Solé also offers bikes in single speed/fixed gear, If you’re looking to do a little more than cruising, grab a three speed, built with a maintenance-free Shimano Nexus Internal three-speed hub. Choose from 10 colorways across the 3 models. Have fun getting around on a contemporary Solé Bicycle and Save $100 with promo code SUMMER2017, plus free shipping.